The 2012 Massachusetts State High School Science & Engineering Fair will take place Thursday, May 3 - Saturday, May 5 at MIT. Students in grades 9-12 from all Massachusetts public, private and parochial schools -- as well as home-schooled students -- are eligible to enter through their schools. The Massachusetts Middle School Science and Engineering Fair will be held Saturday, June 2, 2012 at Worcester Technical High School. An interesting chart based on 2010 census data shows how various college majors stack up in terms of career income potential. For each major listed, data includes unemployment percent, popularity ranking, and average earnings at the 25th, 50th, and 75th percentiles. It's easy to access engineering and science data by clicking the buttons in the "Suggested Searches" area. Increasingly, the demands of state tests for proficiency in math and reading seem to be pushing subjects like science, art, and social studies aside, according to a survey commissioned by Washington-based research organization Common Core. "During the past decade, our public schools have focused—almost exclusively—on reading and math instruction," said Common Core president and executive director Lynn Munson. "As a result, we are denying our students the complete education they deserve and the law demands." Specifically, the study reveals that while art and music predictably have taken the hardest hit, foreign languages, social studies, phys ed, and science are right behind them, with science getting 27% less time than it used to. Women CEOs from several US companies traveled to Capitol Hill on Monday to deliver a message to a group of female lawmakers: We've got science and technology jobs to fill; where are the qualified candidates? A big part of the problem, panelists agreed, is a lack of job applicants with adequate skills in STEM fields. For example, Lisa Hook, CEO of Sterling-Va-based Neustar Inc., a telecommunications company, pointed to a solution. “We need a lot of federal assistance in encouraging children to go into STEM, we need to make it accessible and available starting in the ninth grade,” she said. Five of the top ten fastest growing jobs will be in computing-related fields ( i.e., computer software engineer jobs expected to grow 45% over the next five to seven years). Only 17% of AP computer science test-takers in 2008 were women, although women represented 55% of all AP test-takers. By 2018, current government projections show that more than 800,000 high-end computing jobs will be created in the economy, making it one of the fastest growing occupational fields. 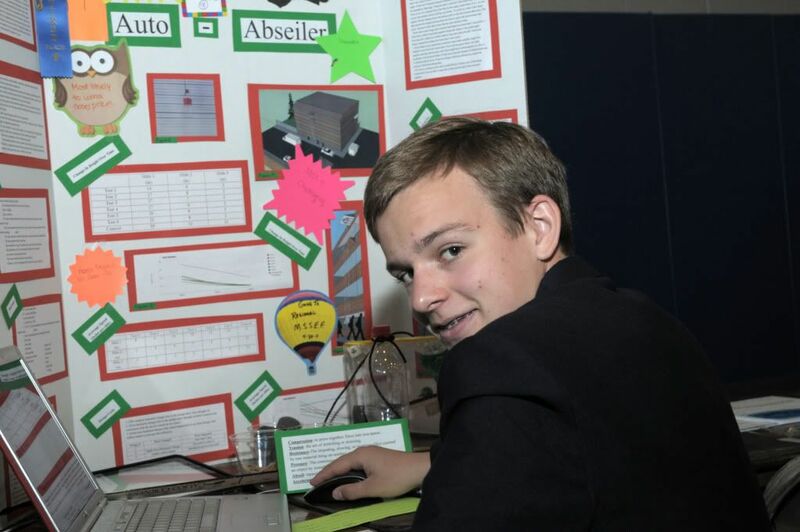 As part of a community outreach project, recent high school graduate Kevin Temmer produced an original animated video to teach students how to prepare for science fairs. Enjoy! Biotechnology veteran -- and MSSEF board member -- Michael S. Wyzga has assumed the position of CEO at Cambridge, MA-based Radius Health, following a 13-year career at Genzyme. While serving as Genzyme's Executive Vice President, Finance, and CFO, Mike led the $20.1 billion sale of Genzyme to Sanofi last April -- the second-largest acquisition ever in the industry. Not Partial to the Names "Flerovium" and "Livermorium"? Speak Up! One-Month Countdown to Einstein Fellowship Program Applications Due Date! Applications for the 2012-2013 Albert Einstein Distinguished Educator Fellowship Program are due on January 5, 2012. From the Einstein Fellowship web site: "The Albert Einstein Distinguished Educator Fellowship Program provides a unique professional development opportunity for accomplished K-12 educators in the fields of science, technology, engineering, and mathematics (STEM) to serve in the national education arena. Fellows spend eleven months working in a Federal agency or in a U.S. Congressional office, bringing their extensive knowledge and experience in the classroom to education program and/or education policy efforts." Click this link to begin the application process. Good luck!